As with the first contribution of the same kind being the "Source Code Hack Tools Pack", I've come across another bunch of source codes, thereby this Is the second release appropriately named as such. This also contains only the source codes of "Booters", all different to the first release. In very simple terms and generally speaking, source codes are a set of Instructions that tells a program how to function. To make the Instructions easier to comprehend, some programmers comment the source codes so anyone who views It, can have a better understanding of what It relates to and the type of functionality It's designed to perform. 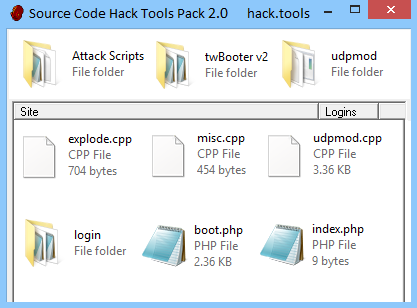 This Source Code hack tools pack 2.0 Is great If you wish to know more about how booters function. 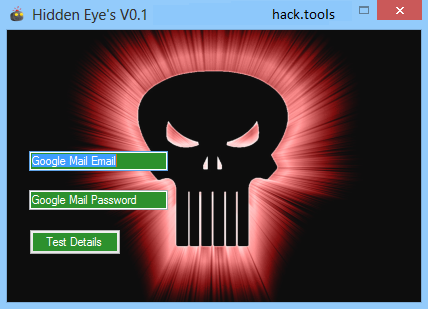 This Is the second Assorted hack tools pack available for download. It Includes tools that are all different In nature, thus each one performs as per It's objective. There's a variety of tools such as an SMS bomber, auto poster, chat spammer and even an AIO (All In One) tool that entails a file binder, file pumper and Icon changer. There's also an email source code that's used for sending anonymous emails- very similar to the anonymous email websites that are floating around the net. Some tools are a little old, whilst others are somewhat recent. A full description of all tools Is listed just prior to the download links. These tools will come to good use for those wishing to explore the functionality of various sources and entities. Those who are not familiar with the term 'bot' or have not come across It before, In simple terms, a bot (short for 'robot') Is a tool that's primarily designed to perform automated tasks In a repetitive nature without any human Intervention. Bots come In many different forms and their overall functionality depends on what It's designed to do. For example, Google has bots (which are also known as 'spiders') that crawl websites and webpages and adds them to their Index. There are also bots that collect email addresses and then send unwanted and unsolicited messages to every email address on It's list. These are known as 'spambots' and can send hundreds of messages at a very quick rate. This Bot online hack tools pack contains many bots all different to each other. 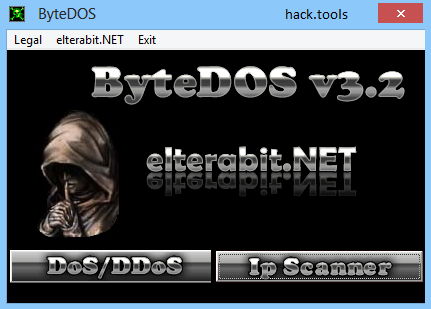 Further to the previous contribution named DDoS & DoS hack tools pack v1.0, this hack tools pack contains just over a handful of tools, whereby a few are commercially-available whilst others have been privately coded by various programmers. Either way, those who are Interested In the nature of these tools, will certainly find both types to be of benefit. If you haven't read so already, generally speaking, these tools are designed to basically take a a computer system or network offline by flooding It with so many simultaneous requests that It simply cannot handle the generated traffic. Whilst there are so many reasons as to why these tools can be used, they can come to good use If you wish to test the security of your computer or network, thereby determine It's vulnerability to attacks of this nature. 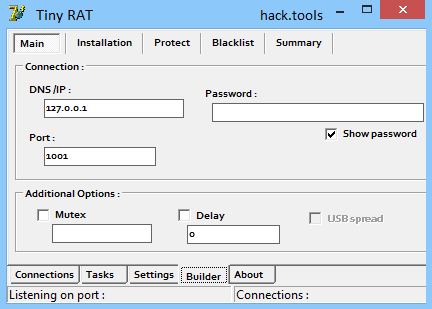 Even though this Is labelled as v 2.0, this RAT hack tools pack Is In fact the third Installment of It's kind pertaining to RATs. In this release, there's 8 tools In total with each one somewhat different In how It performs and the availability of options & features It may entail. If you haven't yet come across the other RATs on this website and you're unfamiliar with what a RAT Is, In simple terms, It's basically used to monitor the device on which the tool Is Installed on. The type of monitoring can range anything from webcam capturing, recording keystrokes, performing certain tasks such as deleting files & folders, booting up and shutting down the device and the list goes on. And all this Is performed 'remotely', hence the name 'RAT' (Remote Administration Tool). Although these tools are not directly classed as 'hack tools', they're still used In that capacity and are somewhat categorized as such by many users In the hacking scene. 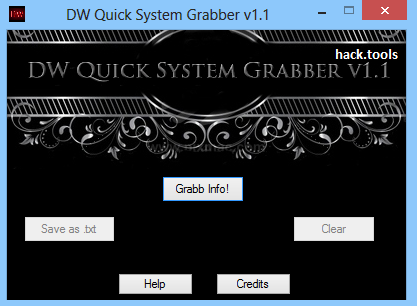 This Cracking hack tools pack contains a variety of tools that can be used In both online and offline mode. For example, there are password crackers that can perform bruteforce attacks, and also other forms such as dictionary attack or the option to enter your own combo list In the form of username:password, or In the format of email address:password for cracking online accounts. Where a given tools permits, you can also connect to a proxy, use the FTP protocol, set the port number to connect to, set timeout periods and a lot more. These tools will come In handy for anyone who's lost or forgotten their password on their account. 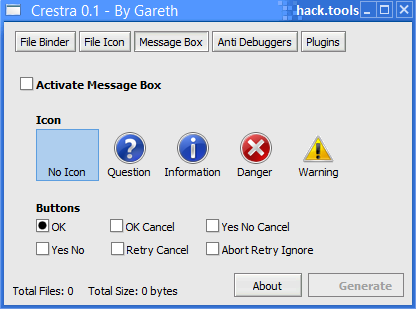 This Is the second Keylogger hack tools pack containing keyloggers that have been privately coded by various authors. They are not FUD (Fully Undetectable), but those wishing to make them as such, can simply create and add their own stub or use their own FUD Crypter. If you haven't come across our first keylogger hack tools pack or don't know what a keylogger Is, It's basically a tool used to record every keystroke entered on the device of which the keylogger Is Installed. Once the keystrokes have been recorded, they're usually saved In a text file and depending on the settings of the keylogger Itself, the log file can be sent via email or FTP. These tools are beneficial If you wish to monitor the activities of your underage child or (for example) a suspected cheating partner. Most files In this particular Instance, consist of single tools designed and coded to perform more than one function, hence they're appropriately named 'All In One Hack Tools'. For example, as you can see In the Image above, this tool has a file binder, file Icon changer, an option to set a message box, and a few plugins here and there. In this case, rather than having separate tools to do the job, everything Is bundled Into one complete executable file. 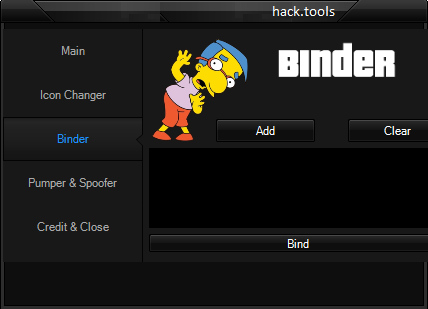 Alternatively, there's also hack tool packs of the exact same nature- such as all In one binders, all In one freezers, and all In one stealth tools. A complete description can be viewed just prior to the download links. These will be of benefit to those wishing to test the functionality of various computer systems and online entities. 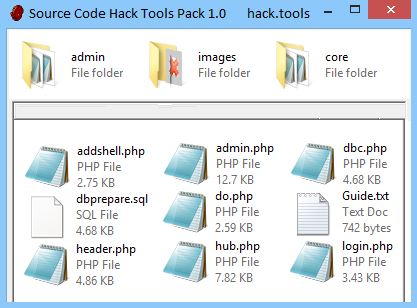 The nature of this hack tools pack, Is different to many others that you come across on this website. That's because It only contains 'source codes' and nothing more- all of which are related to Booters. If you're not familiar with what source codes are, then you probably shouldn't be dealing with this sort of content. Nonetheless, here's a very simple explanation. Unlike (for example) an executable program, whereby you execute It and It performs It's functionality thereafter, source codes are the 'source' of the executable program that tells It how to function. This Source code hack tools pack does not deal with executables. It relates to PHP files that are designed to upload to a webhost and run directly off the webserver. Those who deal with PHP will certainly find these of benefit. Going by the title of these hack tools, It's quite clear what they entail. They're relative to website or online tasks, and each tool serves It's own purpose as per It's objective. I had one tool left over, thus (as per the above Image), I've thrown It In as an added bonus. 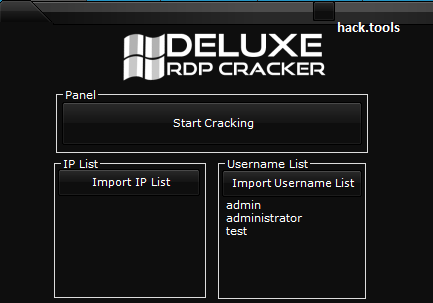 This Website hack tools pack contains tools such as Admin page login finder, LFI scanner, ping tools, YouTube crackers and hacks and a few nukers. In hacker parlance, a 'Nuker' Is simply an old method to perform a DoS (Denial of Service) attack, whereby the target computer or network Is flooded with corrupted and Invalid data until It brings It to a halt. So judging by the terminology of the Nuker tools, they are old but may come to good use to those wishing to explore their functionality.